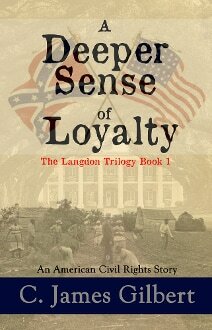 In 1860, Jam﻿es Langdon, a southern boy from Macon, Georgia, is all set to celebrate his eighteenth birthday after graduating from school in New York. He has been groomed to handle the business end of his father's large cotton plantation. A deeply religious lad with an uncharacteristic aversion to slavery, James's father raised him to believe that unlike other negroes, the workers on Langdon Plantation were sharecroppers and not slaves.